Blogs: The two best free options - Blogger and Wordpress | NewbieTechTips! So in the series of start your website Guides, today i will discuss about BLOG as a option for website. A blog (a contraction of the words web log) is a discussion or informational site published on the internet and consisting of discrete entries ("posts") typically displayed in reverse chronological order (the most recent post appears first). A blog is a type of website which has posts (or entries) appearing in reverse chronological order. Blog posts typically appear with the most recent blog post (or entry, post) first, just like a diary or journal. Blog content may be just a simple text or rich media (audio, video, and embeddable objects). A blog is typically updated frequently and regularly, although there are some who are considered “slow bloggers”. Blogs typically have a comment system to respond to the blog post. Blogs can have individual authors or be a group of authors. 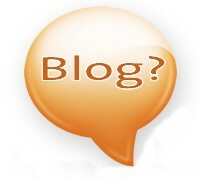 Blogs have a history or an archive of previous blog posts. A blog typically can be read in a number of different formats including the homepage, single post page, categories, tags, and also via RSS and other such syndication technologies. Readers and visitors can subscribe to the blog via RSS readers, email subscriptions, etc. Now you know what a blog is. Today blogs are used as full fledged websites, business portals, educational websites and even for eCommerce purposes. So blogs are not simple diaries any more. If you think you want to start your blog then keep reading below. Both of them are free hosted blogging systems. I have compared few of the most important features below, which will help you to select the better option according to your needs. The green highlighted columns are the positive points of that platform. Allowed via Adsense and 3rd Party ADS. If you have any queries regarding the blogger or wordpress.com or if you want to add some more points, kindly reply to this post.